A traditional Japanese-style house restaurant in a mountain village. Its owner is fascinated by soba. 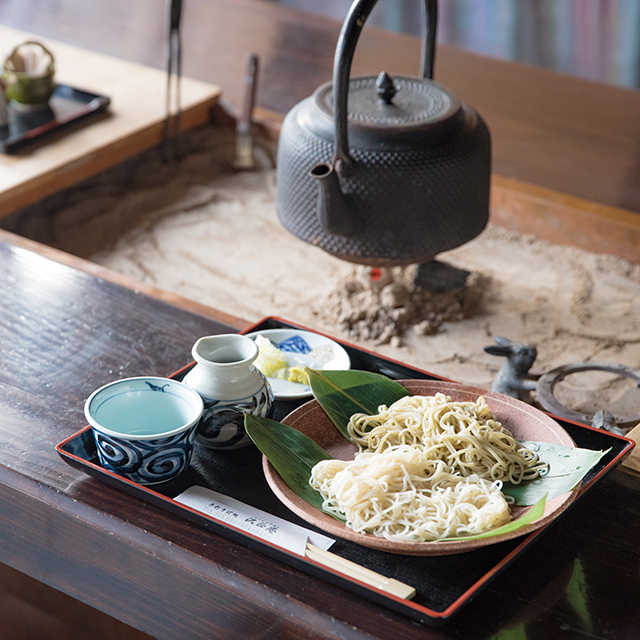 He is always in search of the best hand-made soba. 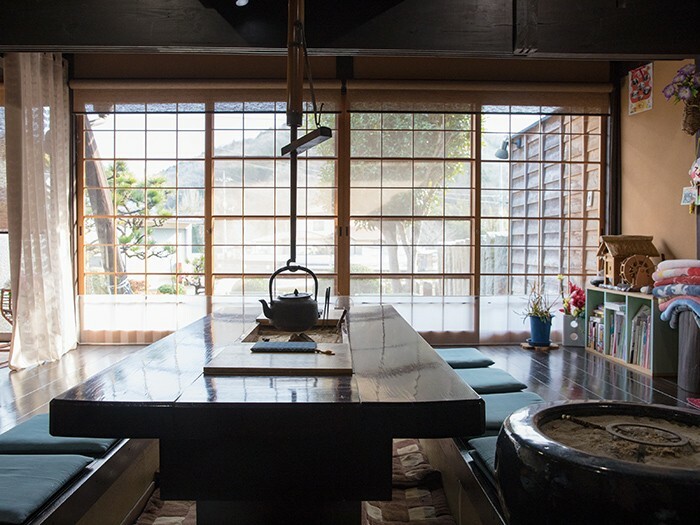 A splendid old house and soba restaurant in a quiet mountain village. The house was built more than 200 years ago. The hard-packed dirt floor of the entrance stands before you. 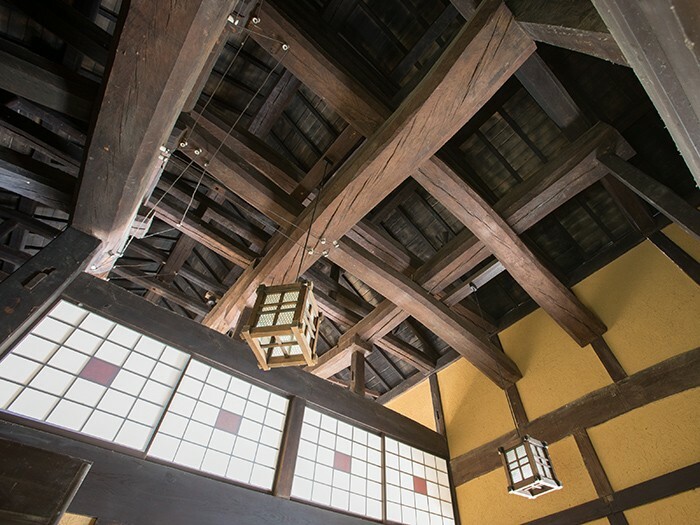 Above are the heavy interlocked wooden beams that support the house. On rare occasions, the temple carpenter comes to visit. 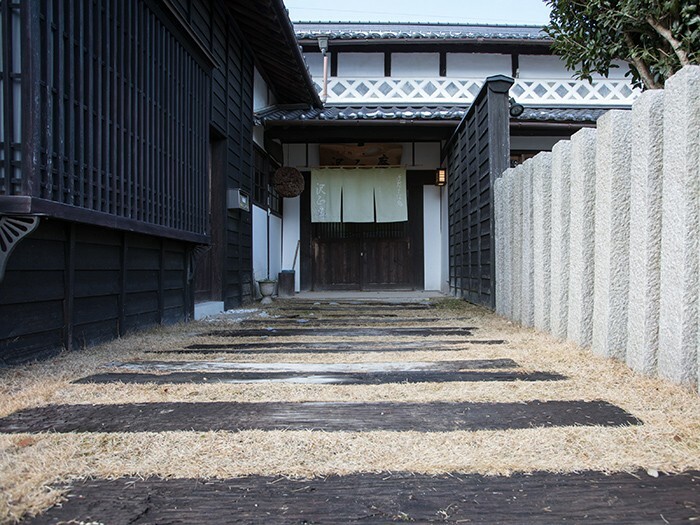 There are traditional Japanese hearthsides known as irori. 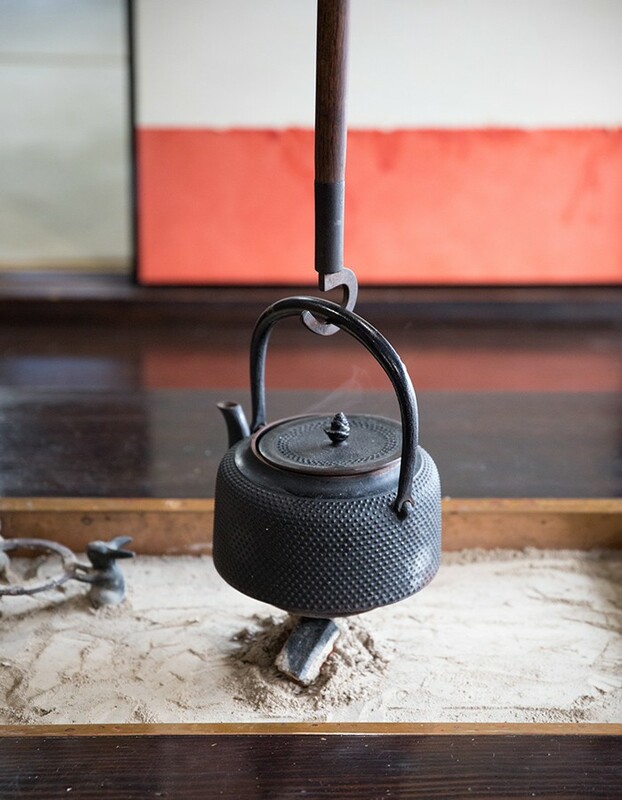 During the cold season, the owner’s daily routine includes burning charcoal in the irori. The charcoal is made in a hibachi brazier. 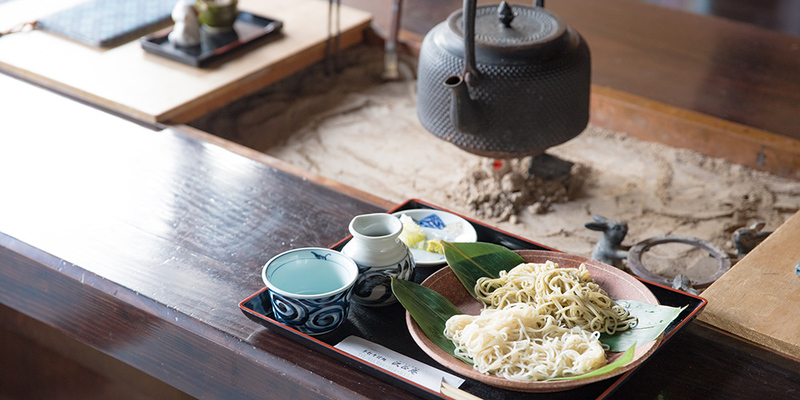 Your serving of soba consists of the darker unrefined noodles (country style) and the refined white noodles. The cost is 800 yen. 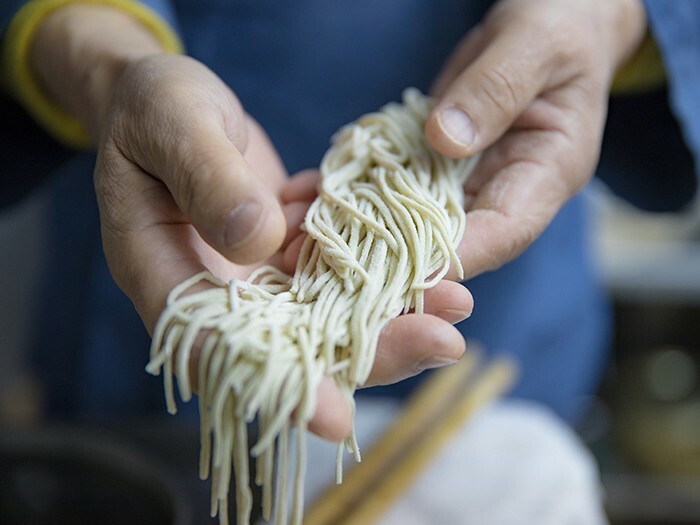 The master of the restaurant has a passion for soba and walked the length and breadth of Japan visiting more than 350 soba shops to learn all about the art of making soba. After that, he retired from his regular job and set up his own shop. The noodles are prepared each morning with consideration given to that day’s ambient temperature and humidity. Careful attention is given to the flour, the soup stock, and even the hot water to create an exclusive dish that emphasizes the taste of the buckwheat flour. The noodles are made from the finest buckwheat flour from Japan’s northernmost island of Hokkaido. Add green onions and wasabi (Japanese horseradish) according to your taste. 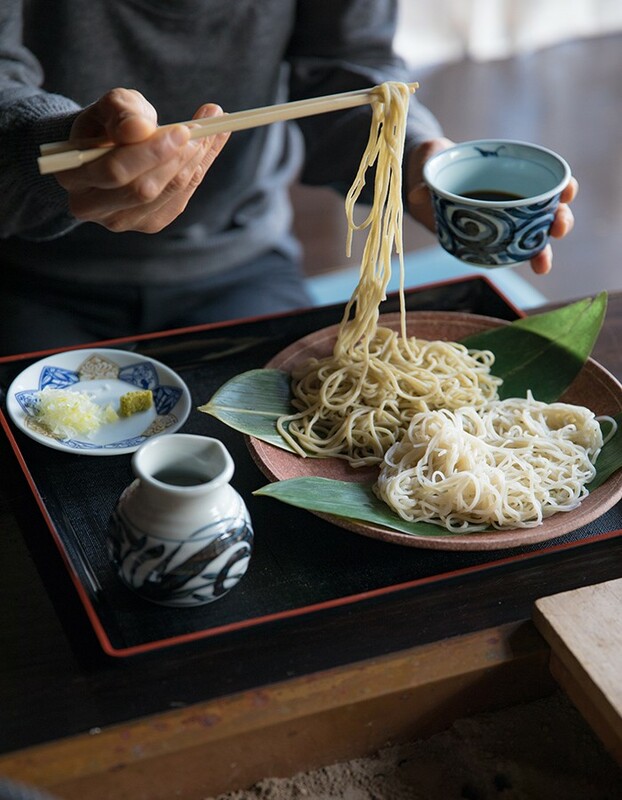 In Japan, soba is appreciated both for its fragrance before eating and its taste as it passes through the mouth and throat. To eat the soba, dip the noodles into the soup stock provided. Enjoy! 11:00-14:30 *Store closes when supplies are exhausted. Reservations required on Sunday – make reservations at least one day before. All-you-can-eat pione grapes, the "black diamonds." Try the popular grape picking in Niimi. Home to the headwaters of the Takahashi River, Niimi City in northwestern Okayama Prefecture is surrounded by lush nature and boasts over 200 limestone caves. There are also many tasty local foods, including Chiyagyu Wagyu beef and Pione, a grape known for its size and sweetness, making Niimi a great destination for your next trip.